Anemonella is a genus in the Ranunculaceae family with one species from Eastern Northern America, Anemonella thalictroides. 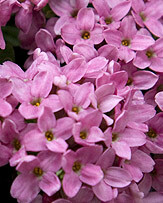 This is a hardy, herbaceous perennial plant that grows from tuberous roots. 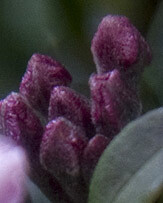 It has a clumping growth habit. Anemonella is perfect for woodland areas of the garden, in the wildflower meadow and in shaded areas of the rockery. It looks delicate but is actually quite robust. It has showy, cup - like white flowers similar to the anemone but a little more delicate. The fernlike green foliage has divided leaves with three lobes, similar to meadow rue. Anemonella flowers are 2cm wide and the plant blooms in spring. Each stem has up to four flowers. It is an early blooming woodland plant. Anemonella grows to about 10 cm and enjoys partial sun in a sheltered position. 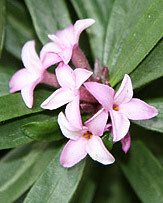 Grow in moist, humus-rich soil that is well drained to prevent tuber rot. Propagation is by seed planted in containers or by division of young plants in spring. The plant will disappear by mid-summer and return in all its glory next spring. A. thalictroides f. rosea has a lovely rose pink tinge to the flowers. 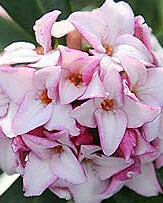 A. thalictroides 'Cameo' has double pale pink flowers that fade to white. The flowers last up to 8 weeks in cool weather. The Cameo multiplies quickly. A. thalictroides 'Lloyd?Äôs big bloomer' is a large and very hardy form with long lasting white flowers. 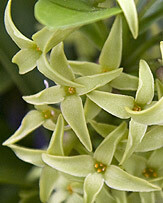 A. thalictroides 'Green Hurricane' is a wonderful plant with intriguing green flowers. The styles appear in a wispy whorl that resembles the twist of the hurricane. The filaments have grown into yellow-green and white petals. A. thalictroides 'Schoaf?Äôs Double Pink' has lovely pink, almost raspberry coloured flowers in cooler climates. A. thalictroides 'Double White' has full pure white, double flowers.